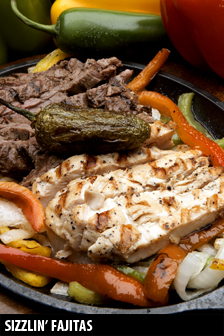 Picasso’s Premium Fajitas. Marinated, seasoned and grilled to perfection, served with pico de gallo, shredded cheddar, sour cream, homemade salsa and guacamole. 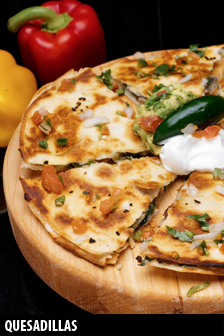 Our delicious quesadillas are served with fresh guacamole, homemade salsa and sour cream.